Classic humbucking meets versatile tone-shaping. G&L has lifted the lid on the Fullerton Deluxe Skyhawk HH, an electric guitar voiced for classic covered humbucker tones. The tone in question is derived from two pickups: a G&L AS4255C fitted at the neck and an AW4368C that sits at the bridge. These pups are wired to G&L’s Passive Treble and Bass (PTB) circuit which lets you cut high- and low-ends. Rolling off the bass, in particular, should come in handy for high-gain settings – like using a cranked up dirt box, for example – according to the brand. In addition to the PTB circuit, the Skyhawk also boasts a push/pull coil tap that delivers single-coil sounds. A master volume knob and a three-way pickup selector round out the axe’s control section. At the bridge, the instrument sports a Leo Fender-designed Dual-Fulcrum vibrato, which aims to provide smooth and stable bending capabilities. The Skyhawk comes in two configurations: an okoume body in Old School Tobacco Sunburst or an alder body decked in Surf Green. 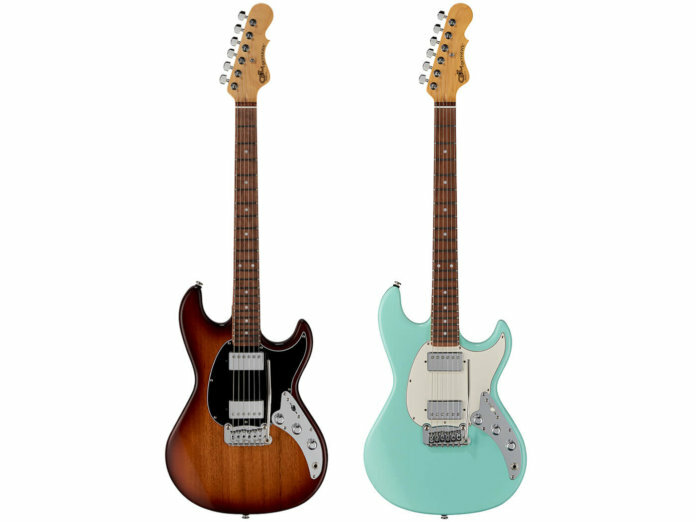 Each model also features a Hard-Rock maple neck and comes with a choice of maple or Caribbean rosewood fingerboards.